Welcome to 338 Berry, a converted 1920's factory on the dynamic south side of Williamsburg. After a two year long restoration, this stunning loft building is now complete and ready for immediate occupancy. 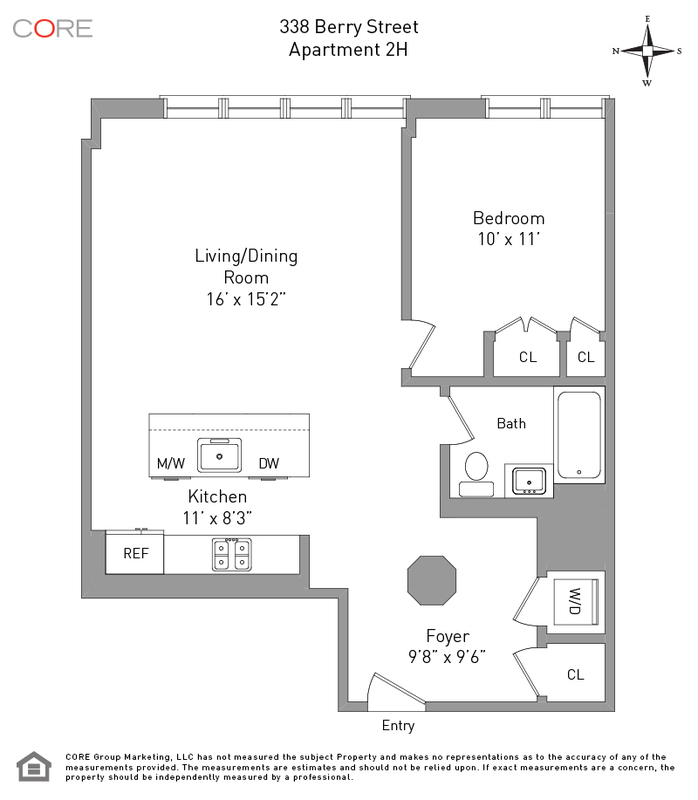 Residence 2H is a 787-square-foot, east facing, one-bedroom and the first rental opportunity in the entire condominium. This thoughtful and carefully crafted home features 12-foot exposed concrete ceilings, original columns, a wall of industrial style windows, an oversized living and dining room and an open island kitchen. 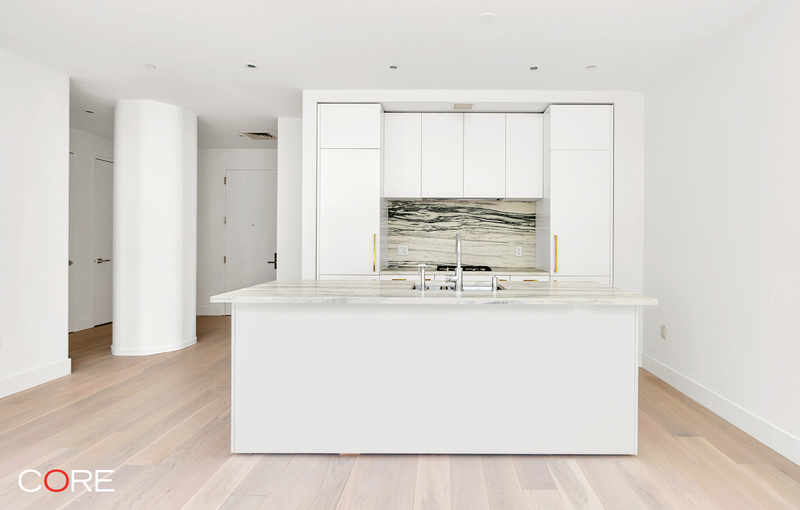 The Paris Forino curated interiors include wide plank oak floors, Danby marble countertops and backsplash, Italian mill work throughout and a state-of-the-art appliance package. Additional features of this rare Brooklyn find include split-system central air and heat, an in-unit washer/dryer and three custom closets.